If “Punk’s not dead,” content marketing is definitely not dead too. Sure enough, a lot of businesses are struggling with it. Hmmm, I wonder why. Well, let me just focus your attention here for a minute and say – you’re probably doing the most obvious content marketing flops! Despite the fact that Google’s algorithms are making the lives of content marketers a living hell, a content marketer should be sharp enough to circumvent around this impeding issue. How, you ask? 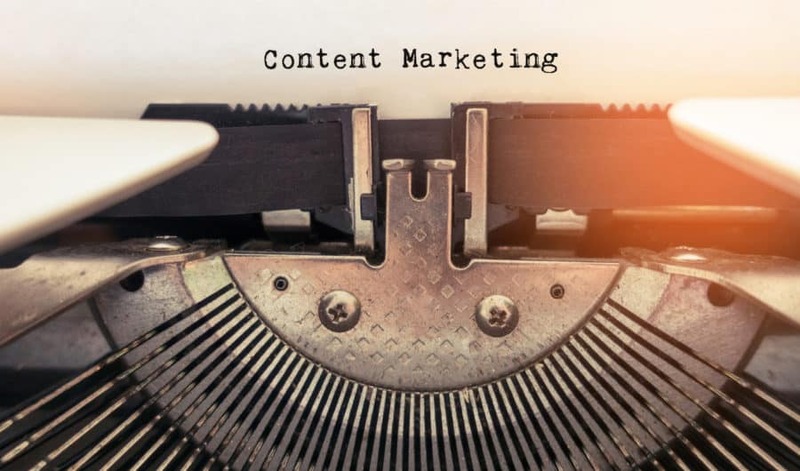 Well, let me make this article worth your while by giving you the top 5 content marketing tips for media pickup and massive exposure. And you can thank me later. Yes, yes, I know what you’re thinking – nobody’s perfect, blah blah. But you have impeccable proofreading apps that MAKE your content perfect. Always ensure that you’re double-checking or triple-checking your content to make it errorless. No obvious grammar mistakes (this is actually horrendous for your business) or spelling mistakes (typos aren’t accepted either). And by perfect, I also mean you cut right to the chase and that everything’s relevant. People nowadays also enjoy a conversational tone compared to a boring, monotonous tone. It’s not like you’re writing a school essay. Please, we’re so over that! You have to be clear right off the bat as to what you want your content to achieve. What do you think about selling a bikini to a guy? Sounds absurd, right? Before you create your content, make sure you know your target audience so you’ll know HOW to talk to them (or errr, write to them). Also, figure out if you’re trying to increase brand reputation through awareness or pushing for a conversion. These things matter! Achieving web presence for your brand is an uphill battle especially if you own a small-scale company. That’s why guest posting for authoritative websites is vital to send more traffic to your site! Just make sure these authoritative niches aren’t directly in competition with yours. Or what about trying to approach an influencer who shares the same goals as you? If you both see eye to eye, then get the influencer to share your content. If you’re pushing for a sale, a strong call-to-action (CTA) button is a great way to possibly lead your readers to conversion. Make it easy to find and make it impactful. One pet peeve of mine is when I’m ready to know more about the company and can’t find a single-click button that leads me to the site. And mind you – I’m proud to say I’m already tech-savvy enough. On the other hand, if you want to accomplish brand awareness, make it easy for people to share your content on different social media platforms by providing yet another single-click share button. Simple, right? This is the most obvious content marketing fail that marketers overlook. The only way your content ranks on SERPs is when you’ve hit all possible keywords relevant to the content. Invest in keyword search apps online if you’re not so keen about the right keywords to use. And one more thing, monitor your content’s progress through Analytics. This way, you can cut your losses and ditch those that aren’t really cutting the mustard. Content marketing and social media should work hand in hand to nurture your brand. Another pro tip is to keep yourself updated with the changing algorithms so you know you’re within the rules and not risking a penalty anytime soon. Content marketing can propel your business to the top if you’re being strategic but it doesn’t happen overnight, just so you know. Be patient and you’ll see those leads on your site in no time! Author Bio: Maria Books, an ardent blogger, loves to write about digital marketing and web development. She frequently blogs at Arcanemarketing, a leading online marketing agency based in Idaho Falls.